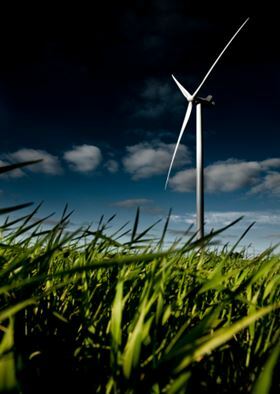 The V112 is Vestas' new flagship wind turbine. The failure is not seen as a design error according to a Vestas spokesperson speaking to Bloomberg News. The blade failure took place on September 8 while running tests on the V112 wind turbine prototype in Lem, Denmark. Vestas says in a statement that no one was hurt and that it is replacing the blade. "This incident is an undramatic occurrence in our first V112-3.0 MW prototype which we do take to the limits. Since this is a prototype we know incidents may happen even if we don't expect them, but we are testing our products rigorously to make sure we provide business case certainty for our customers," Finn Strøm Madsen, President of Technology R&D, says. Vestas recently announced a large order for the V112 wind turbine to a wind farm in Australia, but as deliveries are not set to start until mid-2011. Vestas has come out with an update on the wind turbine blade failure, saying that the prototype blade was made manually and had not been subjected to Vestas' normal verification and reliability testing programme. The wind turbine maker says it will put more stringent quality checks on prototypes in the future, but emphasis that "manually produced prototypes will, however, always involve a significant higher risk of failure than by automated production processes." Vestas has analysed the root cause of the wind turbine blade failure on the V112 prototype, and its conclusion is that this is "a stand-alone manufacturing mistake caused by a human error during the manual production process of the blade." Nonetheless, Vestas will have a third party examine the blade failure of its V112 wind turbine. Vestas is keen to emphasise that this type of manufacturing error will not happen when the V112 wind turbine goes into serial production in mid-2011. TPI Composites, Inc has signed a multiyear supply agreement with Vestas Wind Systems A/S. The 7th annual Wind Turbine Blade Manufacture 2016 conference will focus on blade manufacturing and in particular blade erosion.